Recently an artist asked me to take a look at her portfolio. I asked her what I always ask people who request portfolio reviews: "What do you want to do with your art?" She responded, as many do, "I don't know." I don't blame her, of course. Growing up, we don't tend to learn much about artistic careers, because society tends to view art as "not a real job." It's no wonder that people who want to become artists have only vague ideas of possible career paths. They just know they want to do art. The reality is that, if you want a job, you can't simply "be an artist" and "do art," any more than you can just "be a scientist" and "do science." There are many, many different types of art careers along a broad spectrum of possibilities, and if you want a job, you need to build skills relevant to that job. I wrote this blog post to give you some ideas of the possible illustration careers out there. Of course, there's no way I could list every possibility, so I tried to cover the major categories. There are also many careers which are tangential to illustration, for example: art directing, graphic design, agenting, teaching, etc. 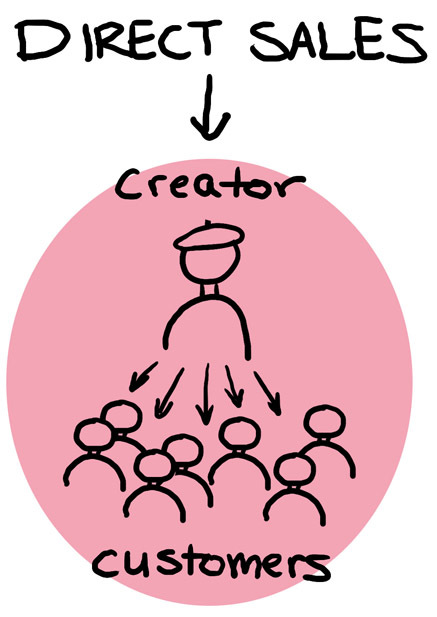 For the sake of time I limited this list to jobs that are directly creating illustrations. 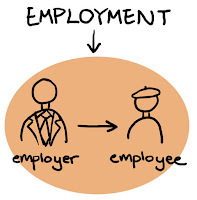 These jobs can be divided into three basic types: employment, freelance and direct sales. Let's break these categories down. Direct sales - selling art directly to the public. This means creating a product from start to finish and selling it directly to consumers, either from a physical store/gallery/convention or an online store. You are working purely for yourself, not for clients. *Arguably, fine art is it's own thing and not a subset of illustration. However since many illustrators also create fine art, I listed it here. 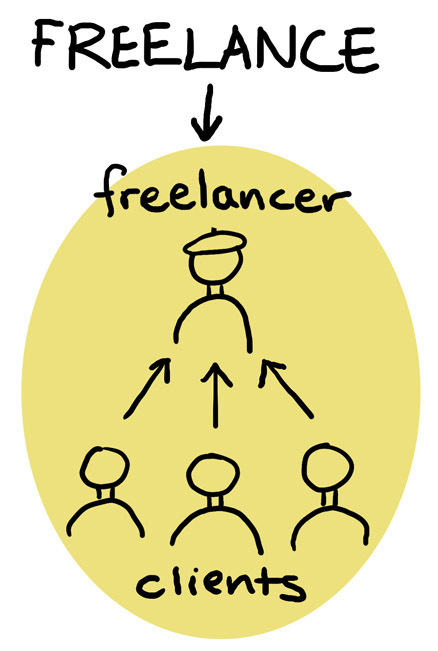 Note that not all of the freelance categories constitute full-time career paths by themselves. Most illustrators, especially freelancers, work in multiple categories. For example, I currently do book, magazine, educational and religious illustrations, and I do direct sales through my Etsy shop. You may notice that some types of illustration - for example, greeting cards - appear in multiple categories. 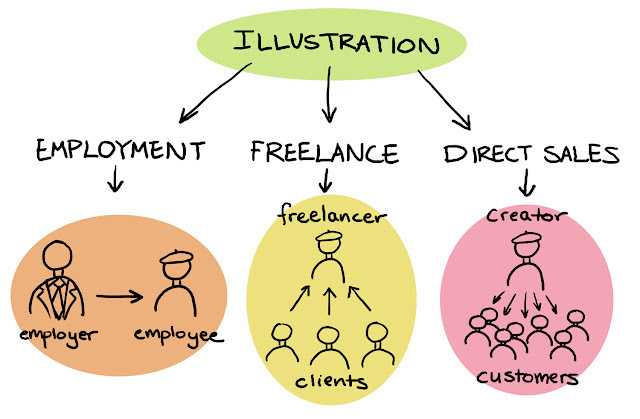 This is because some companies prefer to hire in-house illustrators, some prefer to commission freelancers, and some companies do both. So that's quite a list. Where do you start figuring out what you want to do? Step 1: Focus on one of the three job categories. Do you prefer to work in an office environment or does self-employment sound more appealing to you? You don't necessarily need to make a definite, forever decision on this, but give it some thought. 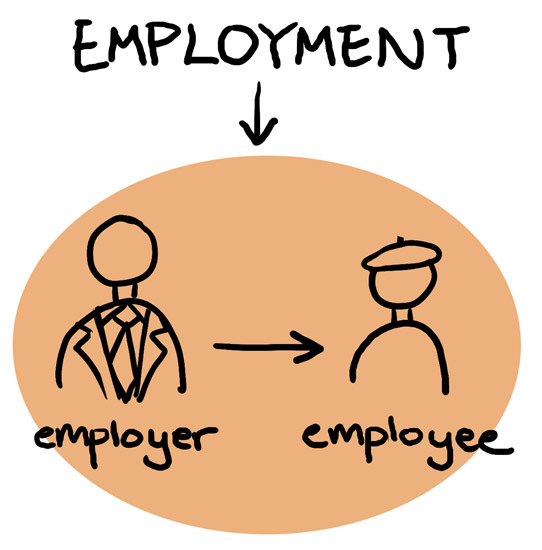 We all know what employment is, but if you don't know much about freelancing, do some research and talk to freelancers. Step 2: If any of the jobs on the list sound fun to you, research them. Don't go around asking people questions that a basic Google search could answer. Google is your friend. Search for "career in ____ illustration" and you will find things. Also look for books at the library. Step 3: Look at the illustrations being used in that field, and compare them to your current artwork. How can you make your portfolio look like it belongs in that field? Step 4: After you've done some basic research and analyzed your portfolio, talk to artists who are currently working in the field you're interested in. If you can, get a portfolio review at a convention. Otherwise, send an email with specific questions or a request for a portfolio review. Artists are generally very helpful, as long as you're polite and aren't asking questions a basic Google search could answer. If they take the time to respond, be sure to thank them. So blog readers, did you find this helpful? Do you have any suggestions for jobs I can add to the list? If so, leave a comment! EDIT: Scott Bakal has informed me that there is an ebook called 50 Markets of Illustration, which examines fifty different possible illustration careers in detail. If you're looking for direction in your career, this sounds like a great resource! Great list! Whenever I do workshops with kids (not that I do all that many, but I do some!) I always start off by trying to get a discussion going about what illustrators can do - it's so much more than just books! This was a great read. I am a working, 50+ wife, with a full time factory job. I wish I could have known at an earlier age, how I could do art work/illustration full time, but did not know what I was capable of until I started painting 10 years ago. I always knew I had it in me, but never knew where to start. I did however write, illustrate, and self-publish 3 children's books based on a character I created, "Dimples the Snowman". Looking to find someone in publishing to realize the potential for my character. Have a great day! I was creating my bio, and decided to research jobs that illustrators do. I came across your blog. It was helpful in loosening up my creative flow. I was feeling a bit of a block. Being a children's book illustrator, I was stuck in that area of my imagination. Your lists were eye-opening. You would be the third person I've encountered this week who has hit this point so I'll take as the first step in establish a new focused direction in my career. Thank you for providing such an inspiration resource.